354. 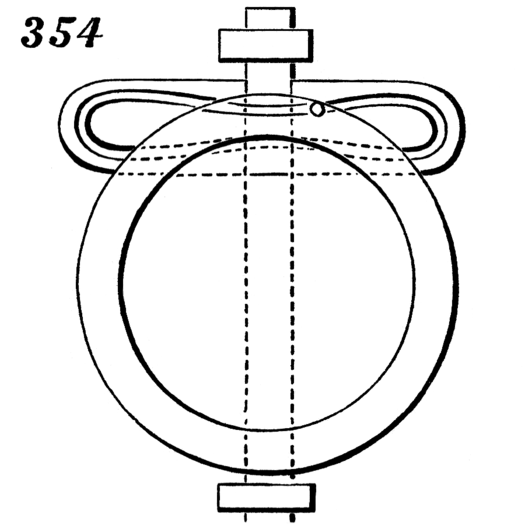 A modification of the crank and slotted cross-head, 93. The cross-head contains an endless groove in which the crank-wrist works, and which is formed to produce a uniform velocity of movement of the wrist or reciprocating-rod.